First Hit: This was a strong, well-presented, and interesting film about the assassination of Reinhard Heydrich the architect of the holocaust. The story follows a small group of men who parachute into Czechoslovakia with the goal of assassinating Reinhard Heydrich who had been sent to Czechoslovakia to ensure that the country supplies Germany with the war materials they expect. There is a resistance movement in Prague which has been decimated by German soldiers publicly killing people who do not fall in line with German leader wishes. Heydrich had come up with the plan and process for killing all European Jews and was Hitler’s number 3 guy so he was Hitler's guy to get Czechoslovakia in line. The film mainly follows two of the men, Jan Kubis and Josef Gabcik (Jamie Dornan and Cillian Murphy respectively) who parachuted into the republic, and find themselves in Prague being helped by the resistance led by Uncle Hajsky (Toby Jones). Both Jan and Josef are coupled with two women Marie Kovarnikova and Lenka Fafkova (Charlotte Le Bon and Anna Geislerova respectively) as a way to help them blend into Prague city life while they plan the assassination. 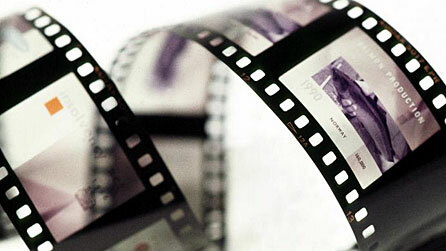 The film is graphic about the struggle and occasionally uses actual footage. The scene of the actual assassination was well staged in that it felt risky and real. The suspense was palpable. The end scene with the battle in the church was very well done and very heroic in nature. Watching this film was like watching an important piece of history, which means the filmmakers did an excellent job of bringing this story to life. Dornan was wonderful as the guy who struggled to pull the trigger but when the chips were down he was a reliable member of the team. His romance and connection with Marie was palpable. Murphy was fantastic and the driver of the mission. His ability to be strong, yet apologize for his focus, was truly heartfelt. Jones was really good as the main contact and leader of the underground. Le Bon was really good in the way she was supportive of the mission and her love for Kubis. Geislerova was truly amazing. Her strength of character shone through in this role. Sean Ellis and Anthony Frewin wrote a very strong script and Ellis’ direction was spot on. Overall: This was a truly interesting and well-acted film about a historical event.